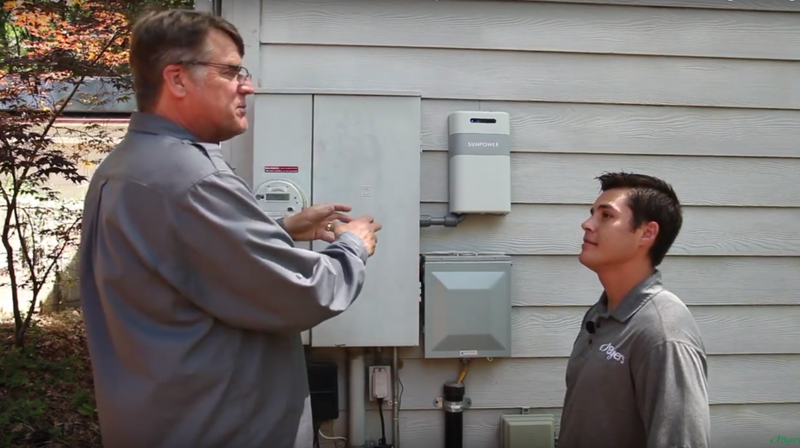 Lance Bellows discusses his SunPower Solar energy system with Ray Byers Jr.
It’s no secret that utility rates are increasing, continuing an upward trend. If you haven’t considered solar energy, this is an important time to learn about solar energy and see the specific savings renewable energy may offer you. There is still a 30% tax credit for solar installations through 2019. This does not mean a 30% deduction to your accumulated tax, but rather in layman’s terms, 30% off your final tax bill. Check into this significant savings with your financial planners or tax advisors. 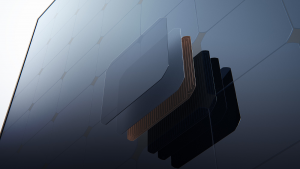 Solar panel technology is better than ever and the costs have decreased. This means more solar energy generated for a lower solar energy system cost. Getting solar sooner rather than later can provide more favorable terms from your utility company. Time of Use and other factors continue to shift and rates have consistently increased. Most utility companies provide a set energy credit rate for an extended term, providing some protection from inflation. Beyond this, energy rates and billing are becoming more complex. This is why Byers is dedicating some of our blog posts to providing insights on understanding utility bills, rates and how solar can change your costs and the way you are billed for your energy usage. An electric rate schedule is based on your utility providers use fee. This rate schedule reflects the rate at which a charge or credit is calculated. Your electric rate schedule is what you pay per kWh for electricity with any special programs such as CARE or medical baseline. As a solar customer, you must be on a Time-of-Use (TOU) rate schedule. This means you will either remain on your existing TOU rate schedule or you may request an interconnection agreement with a different metered TOU rate schedule. Byers Solar will help you understand these rate schedules if you transition to becoming a solar utility customer. TOU (time of use) rate per kWh is higher during certain times of the day and/or certain times of the year. With a solar energy system in place, TOU may be reflected by your system showing that your solar energy system has generated more energy than your home consumed during these peak periods. TOU rates are sometimes credited at a higher rate than the rates you may be charged for consuming energy during non-peak periods, producing a surplus on your statement. Time of Use billing (TOU) can change the rate you pay for electricity depending on the time of day and sometimes the time of year. For example, the most common solar rate, E-TOUA, charges you a little more per kWh during the late afternoon to early evening. Learn more HERE. If you have a solar energy system, your PG&E account may show a credit even when your system has not generated a net energy surplus because of the difference in TOU rate generation versus energy use. -If it’s not in use, turn it off. Manage your energy and minimize what you use by flipping a switch. -Pre-cool or heat your home in off-peak hours. This shifts your demand to a lower rate time of day and can really add up to significant savings. -Save those high energy appliances like the dishwasher or laundry for running in the evening, off-peak hours. 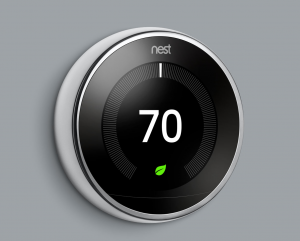 -Consider getting an automated thermostat, like Nest, to pre-set your thermostat for savings with both off-peak and reduced use when you are not home. Ready to talk solar? Call Byers Solar and set an appointment for a no-hassle on-site solar evaluation, 530-272-8272.